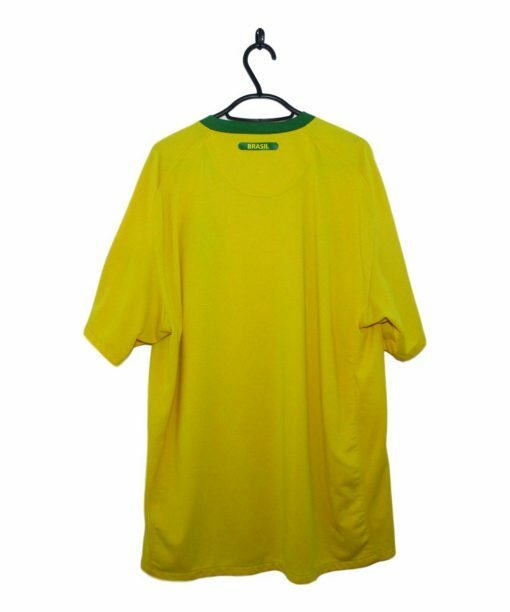 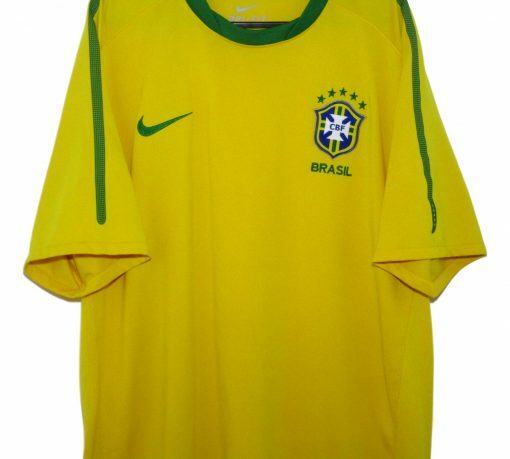 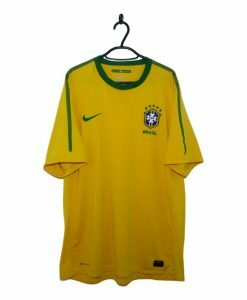 The 2010-11 Brazil Home Shirt has a yellow base colour with a green collar. A thin green stripe with tiny yellow dots runs along the front of the sleeves. A green Nike Swoosh is placed on the right breast with the Brasil badge on the left.